The greatest risks of liposuction are associated with the tendency of some surgeons to do too much surgery on the same day. The three types of excessive surgery include 1) removal of an excessive volume of fat by liposuction on a single day, 2) liposuction of an excessive number of body areas on the same day, 3) combinations of liposuction and other unrelated surgical procedures which involves excessive surgical trauma and prolonged exposure to general anesthesia. (See Excessive Liposuction). Common & minor complications are conditions that do not threaten a patient’s life, normal body functions or the ability to work. 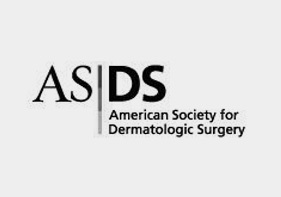 These include superficial irregularities of the skin, seromas, hematomas, focal skin necrosis, allergic reactions to drugs, visible or disfiguring scars, discoloration of the skin, fainting during or after surgery, temporary bruising, numbness or nerve injury, and temporary adverse drug reactions. Most of these complications can be considered minor, however some may become quite serious. Post-liposuction syncope (fainting) the next morning at home, especially after urinating is not rare. This can be serious if the patient falls and experiences a head or neck injury. (See Common & Minor Complications). Rare & severe complications associated with liposuction include problems with anesthesia, blood clots in the leg or lung, injury to the abdominal organs, excessive intravenous fluids, excessive blood loss, excessive loss of body heat (hypothermia), infections, allergic drug reactions, aspiration pneumonia (most likely under general anesthesia), cardiac arrest and potentially fatal cardiac arrhythmias, permanent nerve damage, brain damage due to lack of oxygen under general anesthesia, and seizures. See Rare & Severe Complications. Drugs that increase bleeding, if taken by a patient soon before having liposuction, can cause liposuction complications such a hematoma (a large collection of blood trapped beneath the skin), or excessive bleeding that might require hospitalization. Among the more common drugs that can interfere with normal clotting of blood are aspirin, ibuprofen (Motrin, Advil), and warfarin (Coumadin). Even vitamin E, red wine, and some herbal remedies can cause prolonged bleeding. You are provided with a long list of prescription drugs and non-prescription drugs that interfere with bleeding (see Drugs that Increase Bleeding). Lidocaine is the safest of local anesthetics available for liposuction. At lidocaine concentrations in the blood exceeding 6 milligrams/liter, patients might experience some toxicity. Blood concentrations of lidocaine in excess of 12 milligrams/liter can produce serious cardiac toxicity. The maximum recommended dosage of lidocaine for tumescent liposuction is 50 mg/kg (50 milligrams/kilogram of patient weight). The most extraordinary aspect of the tumescent technique is its unprecedented safety record when used as directed. Most liposuction surgeons know that it can be dangerous to give a patient a dosage of tumescent lidocaine that exceeds 50 mg/kg. All liposuction-related deaths have been associated with either the use of general anesthesia, or IV sedation, or lidocaine doses in far in excess of 75 mg/kg. The tumescent technique is dangerous in the hands of surgeons or anesthesiologists who have not had specific training in the technique. 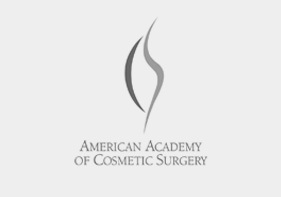 There has never been a reported death associated with tumescent liposuction totally by local anesthesia. 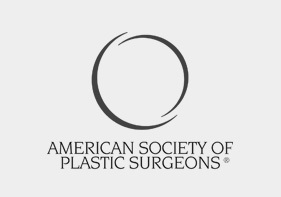 General anesthesia for liposuction can be considered safe when 1) the general anesthesia is administered by a board certified anesthesiologist, 2) liposuction is not performed with other unrelated surgical procedures, and 3) there is no excessive liposuction. The most dangerous aspects of general anesthesia are respiratory depression and impairment of protective airway reflexes. The risks of general anesthesia include human error, unsuspected inherited hypersensitivity to anesthetic drugs, accidental overdose of anesthesia, any undetected airway disconnection or airway blockage. General anesthesia, which increases the risk of vomiting and impairs protective airway reflexes, can cause aspiration of stomach contents. Because general anesthesia impairs the ability to breathe, when a complication does occur it can lead to disaster. Ultrasonic Assisted Liposuction (UAL) requires the use of tumescent fluid and uses either a metal probe or metal paddle to deliver ultrasonic energy and heat into subcutaneous fat. Internal UAL has largely been abandoned because of the risk of full-thickness skin burns and severe scaring. The initial reports of internal UAL were unrealistically enthusiastic. Some authors did not report their complications, and others have learned of major UAL complications after publishing their articles. 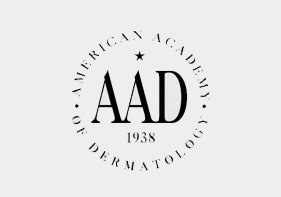 Because of insufficient proof of safety, UAL devices have not been approved by the FDA for use in doing liposuction. It is impossible to prove that a surgical procedure is absolutely safe. On the other hand it is realistic and appropriate to compare two procedures and conclude that one is relatively safer than the other. Prospective liposuction patients should strive to understand the options that are available and choose the safest procedure. Preventing complications should be the most important concern of both patients and liposuction surgeons. Surgeons can reduce the risk of liposuction complications by proper selection of patients. Surgeons should avoid patients who have 1) unrealistic medical expectations, 2) a history of significant medical problems. Patients can reduce the risk of complications by 1) resisting the temptation to save time by attempting to do multiple unrelated surgical procedures along with liposuction, and 2) resisting the temptation to maximize the volume of fat removed on a single day. It is much safer to divide one very large liposuction procedure into two or more separate procedures done on separate days. 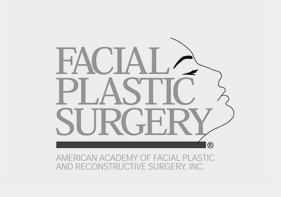 Liposuction by general anesthesia can be considered safe, however, liposuction totally by local anesthesia is safer.